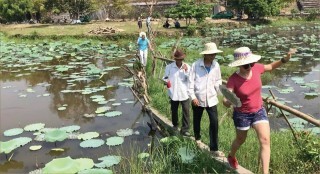 With this end in view, there is no other way but to encourage farmers on the periphery of ​​King Gia Long’s Tomb to return to their rice paddy fields. 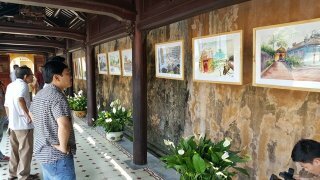 Within the framework of Hue Festival 2018, the exhibition of "Poetry on Hue royal architectural works inscribed on Truc Chi" will take place at the Corridor - the Great Palace Gate – the Citadel on April 25. Thua Thien Hue has three scientific works winning Vietnam Science and Technology Innovation Awards 2017, the Provincial Union of Science and Technology Associations said on March 12. On February 25, the Provincial Employment Service Center held the first employment exchange of the new year. In this season, there are 22 enterprises participating in recruitment with many trades; in which there are 14 enterprises recruiting laborers to work overseas. 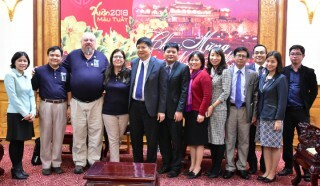 On the afternoon of January 29, Vice Chairman of the Provincial People's Committee Nguyen Dung met with the delegation of Vietnam Veterans of America (VVA), head by Mr. Grant T. Coates, Co-Chair of POW/MIA Affairs Committee, visiting and working in Thua Thien Hue province during the business trip in Vietnam from January 19 to February 9. 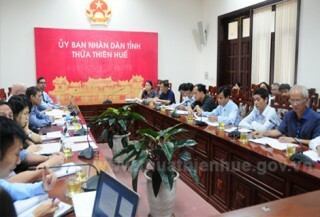 Many issues related to the planning, construction, and characteristics of ancient works were brought up for discussion at the seminar on the theme of resilience of ancient works in Hue City which was held by Department of Architecture, University of Sciences - Hue University and Chiang Mai University - Thailand on January 22. 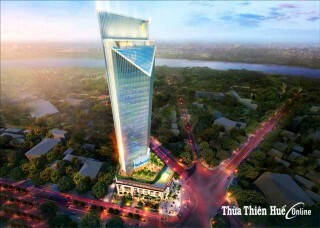 In an interview with Thua Thien Hue Weekly reporter, architect Huynh Quang, Former Director of Construction and Urban Planning Institute, Director of General Designing and Consultancy Joint Stock Company, said that it is necessary to have a harmonious layout in order to establish a complex of outstanding architectural work. 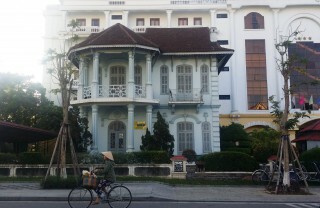 A too high building in opposition of a too low one will create an architectural fault and break the whole complex. 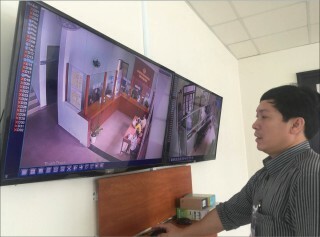 Deputy chairman of Thua Thien Hue People's Committee, Mr. Bui Ngoc Chanh, who was responsible for surveillance camera installation project in 27 local wards, confirmed that after two months of operation, the attitude and working manners of officials working at "one-door" offices positively changed. On October 3, Vice Chairman of the Provincial People's Committee Nguyen Van Phuong received and worked with the Asian Development Bank's Eptisa consultative working group on the technical assistance project "adaptable and sustainable urban development". 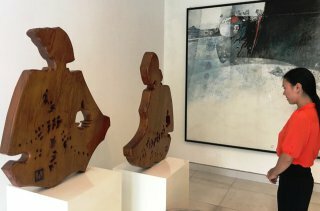 The Le Ba Dang and Diem Phung Thi Art Center said that painter Le Ba Dang’s wife, Mrs. Myshu had just donated to the center 13 works, some documents and remembrances of the painter.